A couple of things i've realised this year is that no.1 - subscription boxes are amazing and no.2 - subscription boxes are even more amazing at Christmas! There just seems to be that little something extra about them at this time of year and they also just so happen to arrive at a time when you're feeling in need of a treat for yourself after having bought so many presents for others. 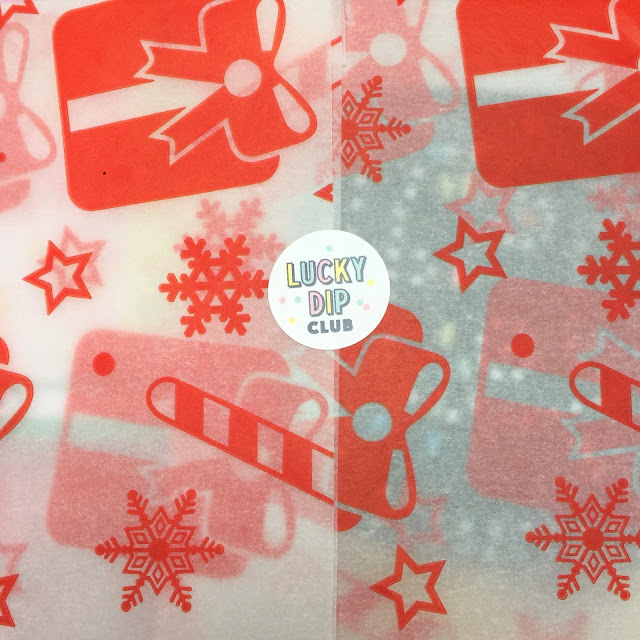 The December Lucky Dip box has just blown all others out of the water! My lovely girl Naboo couldn't resist getting in on all the cat excitement whilst I was snapping away! Everything in this box is just perfection but my favourite item would have to be the cat faced Play Purse. Play Purse have been on my wish list for some time now and I just adore the retro vintage style of their purses and bags so it was amazing to receive a one off design by them. This little purse is going to get a lot of use and will be ideal for carrying around my cards and loose change. It was also amazing to receive another DIY project. I've been a huge fan of the LDC DIY projects in the past as it's so nice to be able to make something yourself and learn a new craft. I can't wait to get stuck into this cross stitch and no doubt this will become a pinnacle Christmas decoration in my collection. I've followed Tiny Grey Cat on Instagram for some time now so it was really lovely to receive one of her super cute Christmas cards which I think i'll be keeping for myself as it's far too nice to give away! I'd never heard of Karen Mabon prior to receiving this box so it's great to be introduced to yet another beautiful illustrator and designer. I shall be keeping a firm eye on her Instagram over the coming months as I love to shop from and support small businesses. If you'd like to subscribe to the Lucky Dip Club then be sure to set your alarms for 7am on 1st of February for when the sign up's re-open. Or you can always grab yourself a one off box on 5th of January but make sure you're up early so you don't miss out!